With Every Fiber of My Being, alludes to the materials and methods used to create this specific installation. It also speaks to my overall beliefs regarding the benefits of creating art. I create “with every fiber of my being” because I have to and because it brings me joy. Starting at the bundles of axons within my brain, to every hair fiber, and through the nerves of my muscles. Every network of fibers precisely distributed throughout my body, wants to see, smell, hear, taste, and create art. 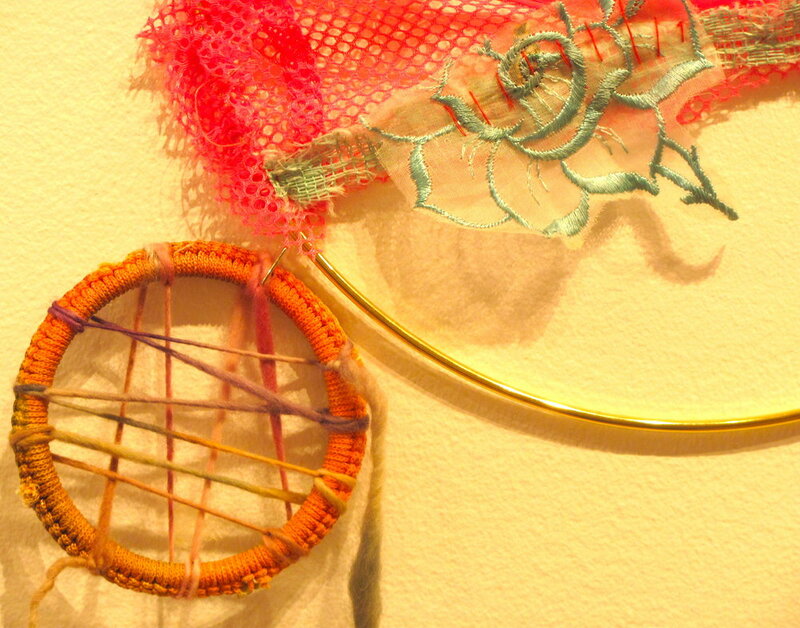 Textile or Fiber artworks are created with “plant, animal, or synthetic fibers to construct practical or decorative objects…and centered on an emotional message, time spent producing, and the materials used to create them. 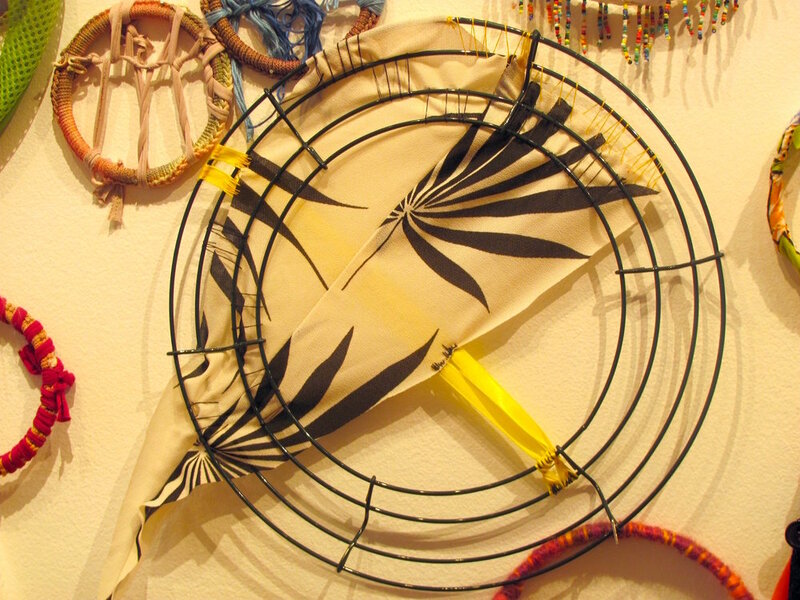 The original installation is comprised of 120 mixed media on wood, plastic, and wire various sized, sewn, or woven circles. 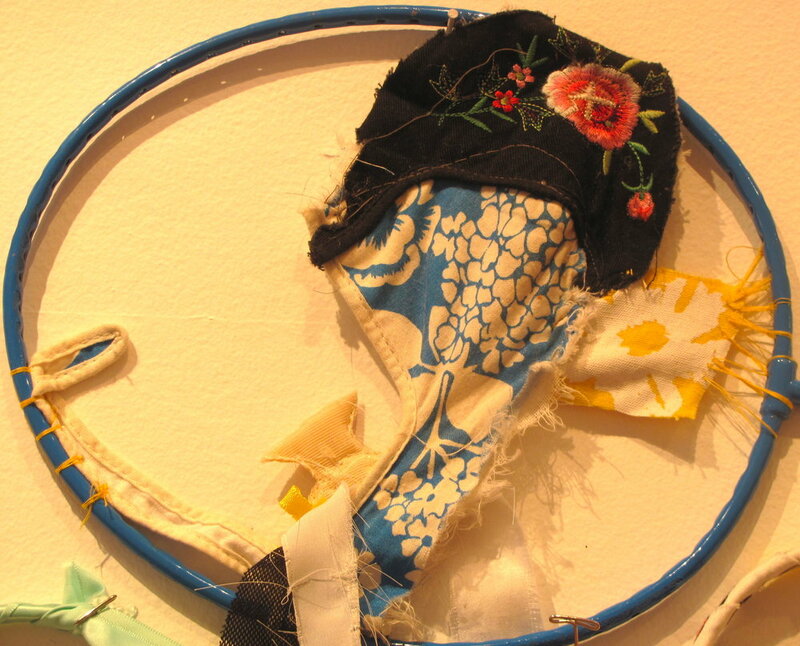 Each additional commissioned version of With Every Fiber of My Being have been site-specific installation and includes an average of 70-130 hand sewn circular forms. Contact amberroblesgordon@gmail regarding commissions and pricing.